Florida real estate brokerages offered support to two real estate agents who lost their teenage daughters in the mass shooting at Marjory Stoneman Douglas High School in Parkland on Feb. 14. But they weren’t the only members of the real estate community to be directly affected by the tragedy. Earlier this month, Realtor Magazine reported that 17-year-old Nicholas “Nick” Dworet, son of real estate agent, Mitchell “Mitch” Dworet of Skye Louis Realty in Coconut Creek, Florida, was also killed in the Valentine’s Day shooting. The tragic news comes following the confirmation 14-year-old Jaime Guttenberg (son of real estate agent Fred Guttenberg), and 18-year-old Meadow Pollack (daughter of real estate agent Shara Kaplan), were both killed in the horrific shooting that claimed that claimed the lives of 17 people and wounded 14 more. 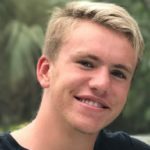 In a touching tribute to Nick Dworet–the family described the champion swimmer as “far from perfect, and a typical teenager,” in the habit of running his car almost on empty, and “somehow always going over his monthly cellular data limit.” He would litter the car with Oreo wrappers and used paper plates on his way to swim practice. “Always the charmer, he only had to flash his million-dollar smile, and all was forgiven,” said the obituary written by his family. Desare Kohn-Laski, broker-owner of Skye Louis Realty, recommended that any agents around the country wishing to contribute something to the Dworet family should go to Nick’s GoFundMe page. According to Kohn-Laski, speaking to Inman, the money will go towards paying funeral costs and associated expenses. Nick’s mother, Annika, is Swedish and a number of her family members came over from Sweden for the funeral and to stay on as support, said the GoFundMe page. Money would also go toward a memorial swim block which is planned for the high school senior who was a regional swim champion, said Kohn-Laski. The 17-year-old had won a scholarship to the University of Indianapolis and had aspirations to swim for the U.S. in the 2020 Tokyo Olympics. He is survived by a younger brother, Alexander, who started as a freshman at the high school in the 2017/2018 school year, according to the GoFundMe page. The two brothers drove to school together. According to the GoFundMe page set up for Nick, Alexander was also injured in the shooting but was recovering. A few of Kohn-Laski’s agents also have children who attend the high school but were not injured in the attack. On Wednesday thousands of students across the country staged a walkout demonstration to demand tougher gun laws and honor their classmates who were killed.